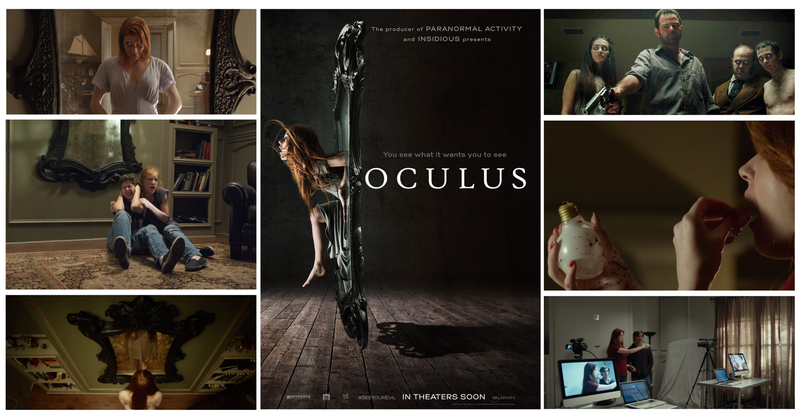 Tuesday Talkies – Oculus | My Journey So Far…. “Journey is better than Destination”, this quote is apt for movie, Oculus. 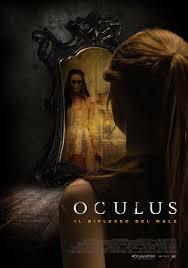 Oculus is a critically acclaimed horror movie, directed by Mike Flanagan, who has also developed a short film before, based on the same concept. 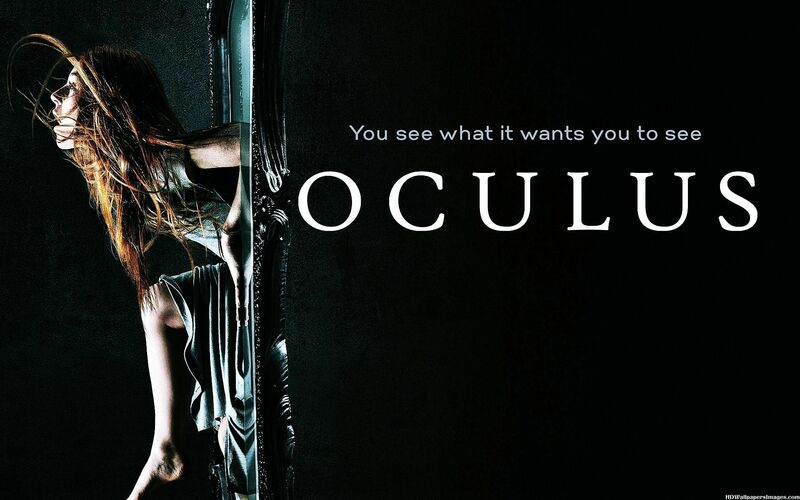 Mike Flanagan directed a short film called “Oculus – chapter 3 – The Man with the Plan”, which became the underlying theme of this terrifying and brilliant horror film – Oculus. 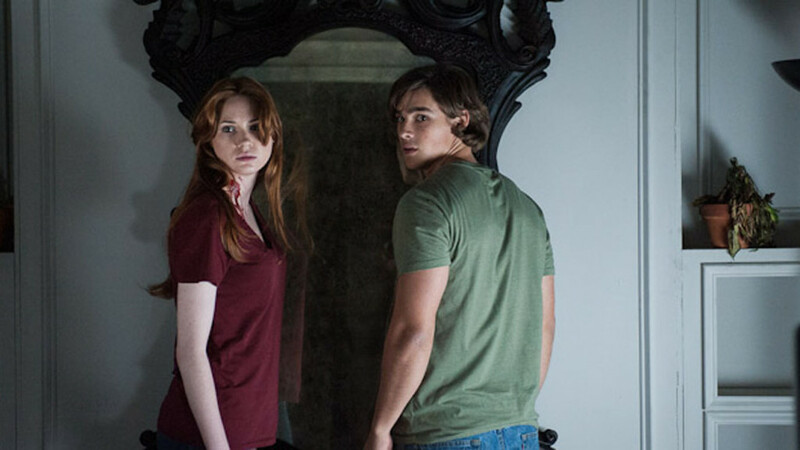 Oculus stars Karen Gillan and Brenton Thwaites in the adult roles of siblings Kaylie and Tim respectively while Annalise Basso and Garrett Ryan play as 12 and 10 year old Kaylie and Tim. Kaylie is convinced that it was something supernatural in the antique mirror that their family had, which resulted in murder of her Father Alan, and Mother Marie, some 11 years back. While her brother, Tim, who has just recently came out of a psychiatric hospital, denies every involvement of supernatural in his parents death. Kaylie decides to take revenge of their parents death and devise a plan to kill the evil. Tim, reluctantly agrees to help her. They go back to their old house along with the evil Mirror and try to shoot the footage of evil mirror in action. They also devise a plan to automate destruction of the Mirror, in case anything bad happens to them. Tim who was initially not in favor of Kaylie superstitious belief, gave up, when he also start seeing tricks played by the mirror. Soon, both of their lives get intertwined with their past; their younger selves. Everything seems untrue, yet so true. They start living in past, seeing their father changing into something evil, and their mother losing her mind and ultimately everything. This is the highest point of horror that this movie has provided. Oculus just messes with your mind. It was mirror who is playing all the tricks but it is the concept laid out by Mike Flanagan, which takes the drama to a new height. With past and present intertwined, you will feel like part of an unsolved puzzle, which is getting mysterious with every scene. You want to scream for the kids; you want to help young Kaylie; you want Tim to kill that evil mirror; you want to do so much with this movie. And there is the big THUD!!! Movie does nothing. It has the most plain climax that any horror movie can have. I was just disturbed by the way this marvelous movie get treated in the end. Oculus deserved a much better end. Sigh!!! At the end it just looks like that director wanted to make prequels and sequels of this movie; that’s why he has left so many questions unanswered in this movie, as if they want to leave their audience hanging in middle. But, to say honestly, this doesn’t look like a good idea. Oculus is now an unfinished business for me. I hope they try to do justice to Kaylie and her family; and would give a proper end to monstrous mirror in the sequel. Pingback: Silent Sunday – Rising Sun From Plane Window | My Journey So Far…. Pingback: Tuesday Talkies – PK – Is it a Waste of Time? | My Journey So Far…. Pingback: Thursday Treat – Buttoned Scarf For Tisha | My Journey So Far….